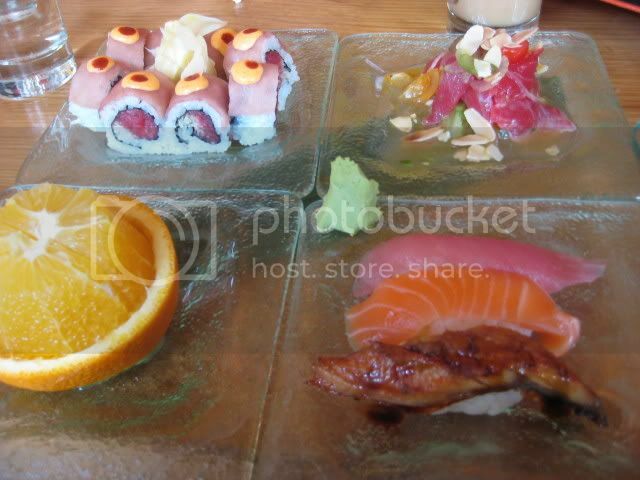 On Saturday a group of friends and I visited Sushi Samba for lunch. The 7th Avenue South location was bright and sunny, the wait staff was very attentive and the food was very good. I got a lunch special for $20.09, Samba Sashimi Seviche: tuna seviche, Neo Tokyo roll, tuna, salmon and eel sushi and fresh fruit. This made me very happy. Everybody else liked the food, too. And the drinks.